Random wanderings of the restless mind. 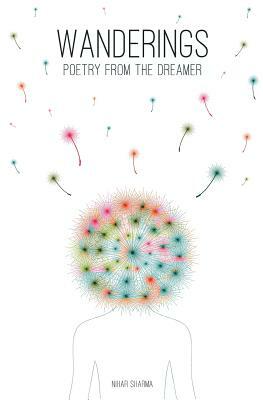 A collection of soul-searching poetry and prose from The Dreamer. Wanderings provides a unique perspective on everyday, ordinary life, giving words to emotions that many of us avoid or deny ourselves from feeling. Cathartic in some places, constructive in some, you will definitely come across pieces you can find yourself relating to. This book deals with life, love, anger, despair and the resulting chaos that engulfs the hidden corners of our soul. It talks about societal restraints and the struggle to be ourselves in a world that so desperately tries to change us every moment it gets. It sings of survival, when we are that close to letting go. But most importantly, Wanderings shows us the pleasure of looking beyond what we see, of spraying magic in the ordinary, of dreaming a life beyond boundaries, and striving to make that dream come true.